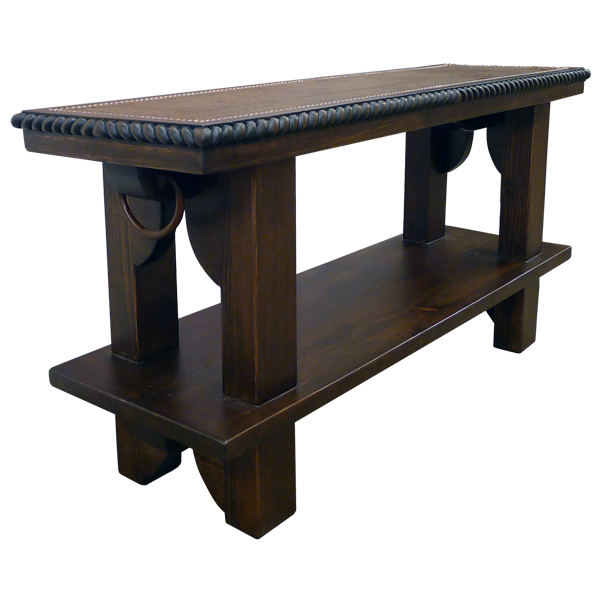 With its opulent, dark finish, this versatile, handcrafted, Western style console will easily blend with your existing home décor. 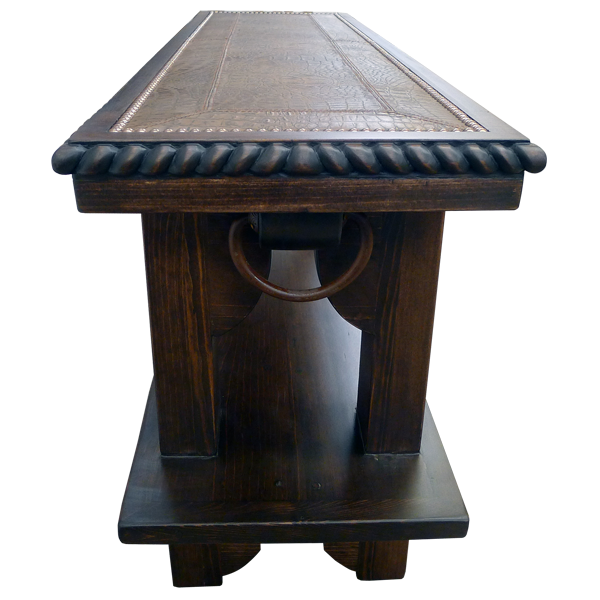 The open, wide top is partially covered in a rectangular design with rich, brown, full grain leather. The leather is hand tacked to the top with beautiful, gilt nails, and the leather is double stitched together for extra strength and durability. The top rim is embellished with an ornate, hand carved, twist rope design, and each lateral side is adorned with a large, hand forged, iron ring. 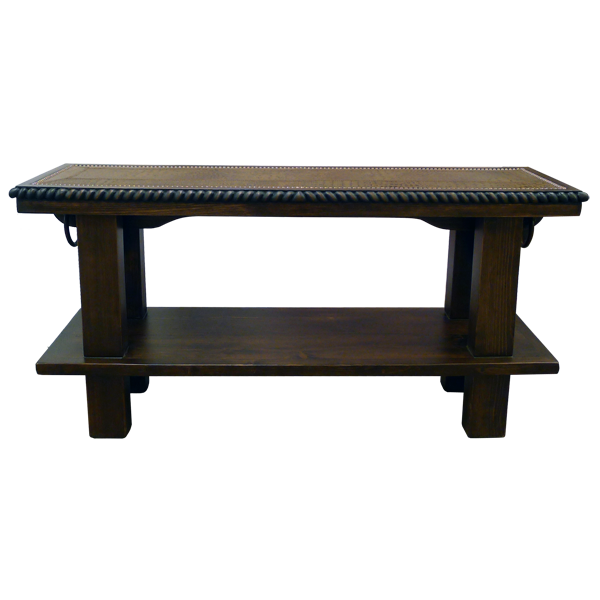 The console rest on four, straight, square cut legs, and the legs are joined by a solid wood shelf. It is made with the best, sustainable, solid wood available, and it is 100% customizable.